With the 2019 Super Bowl set to take place on Febuary 3rd, Atlanta is set to host the big game along with a series of events in the week up to it. 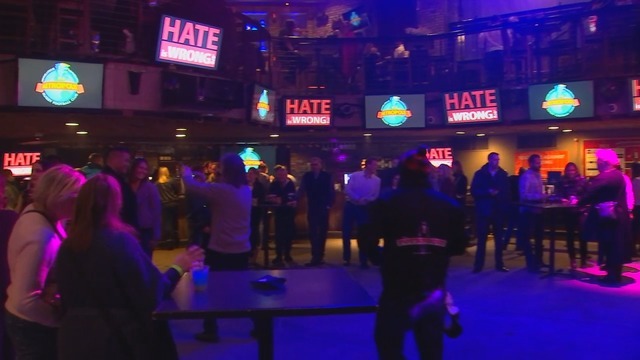 The National Center for Civil and Human Rights will be hosting the Hate Is Wrong Inclusion Panel, sponsored by the Minnesota Vikings to address LGBT involvement in sports, in general and within the NFL. The panel will include panel discussion with members of NFL Management, Sponsors, Professional Athletes including Openly Gay former Atlanta Defensive Tackle Esera Tualo and Olympic Gold Medalist Greg Louganis, coaches, team owners and other people involved within sports. The panel is set to take place on January 29th, 2019 from 1-30pm at the National Center for Civil and Human Rights in Atlanta, Georgia. Following the panel, Esera Tualo’s Second Annual Inclusion Panel will kick off with guest appearances by RuPaul’s Drag Race own Raja and Carson Kressley! The money raised at the party will be donated to anti-bullying organizations and diversity centers throughout Atlanta. Every year, the annual event relocates to the host city of the Super Bowl and benefits local organizations within that city. The Hate is Wrong Inclusion Panel, Atlanta Women in Sports Luncheon (January 30th) and Esera Tualo’s Inclusion Party all taking place this week. There will be much opportunity for discussion, education, and celebration of LGBTQ people in sports. Hope to see you there!